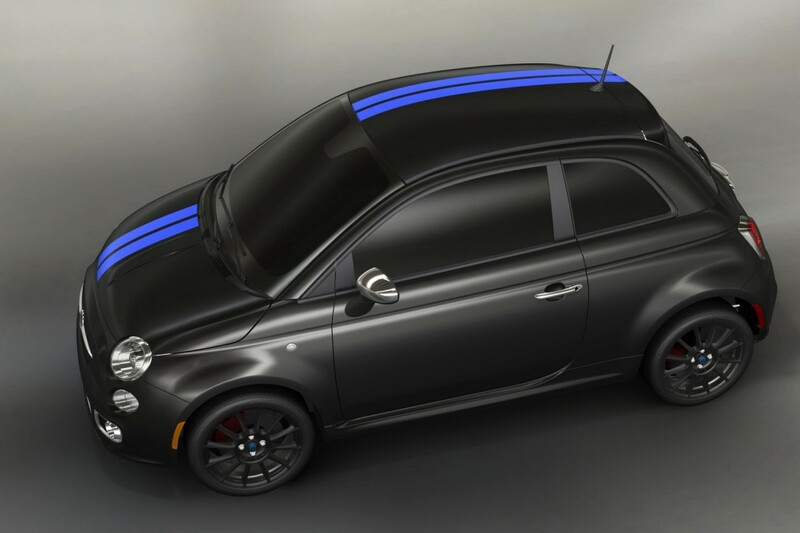 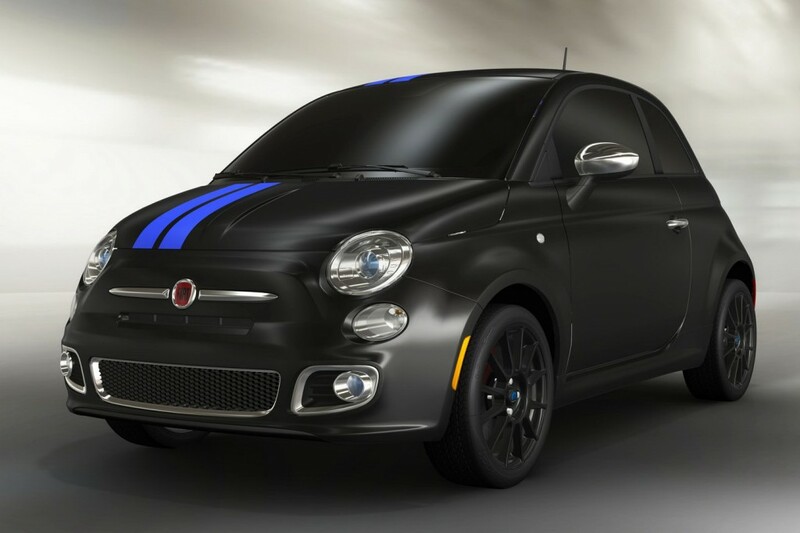 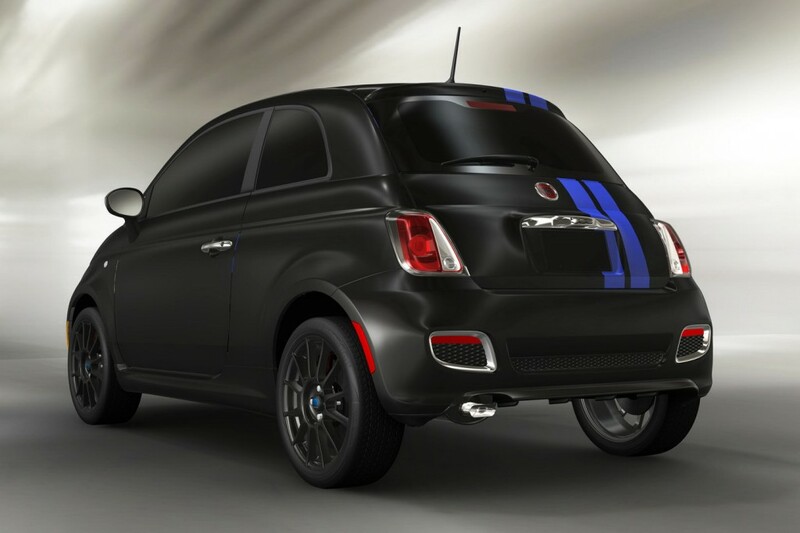 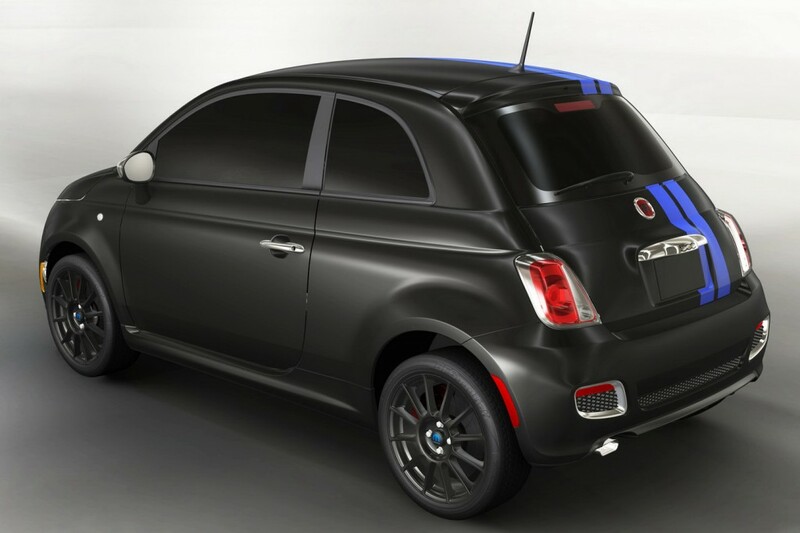 Mopar tuning prepared some interesting changes for 2012 Fiat 500, mostly cosmetic improvements. 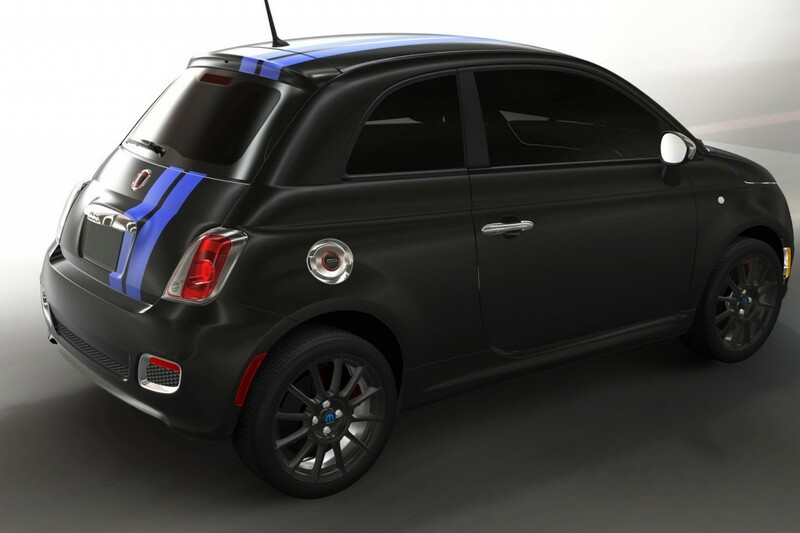 Fiat 500 by Mopar Limited Edition Challenger has 500 logo on doors, double blue stripe on the roof and hood, chromed mirror covers, chromed fuel door, key fob cover and strut tower brace at the exterior. 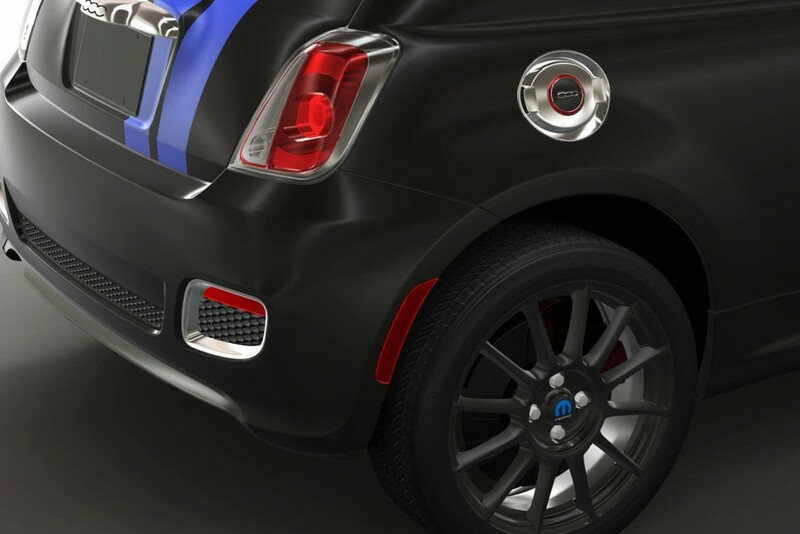 At the interior, Fiat 500 by Mopar has leather with blue and black accents, carbon fiber hand brake, carbon fiber shift knob with boot from leather, key fob cover.